We look forward to welcoming you or your child into Our Catholic Community! For any Baptisms please call our Parish Office (652-3972). For adult baptisms we will be delighted to walk you through the RCIA process of learning & understanding the Catholic Faith to prepare you for the Sacrament of Baptism. 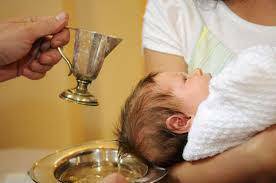 We will do what we can to help you prepare for the Baptism of your child (self) .